Former Mayor of London Boris Johnson led the campaign for Britain to leave the European Union, and now he has reason to celebrate. Not only did Boris’ cause emerge victorious — he’s also a favourite to replace David Cameron as prime minister, now that Cameron has announced his intention to resign. 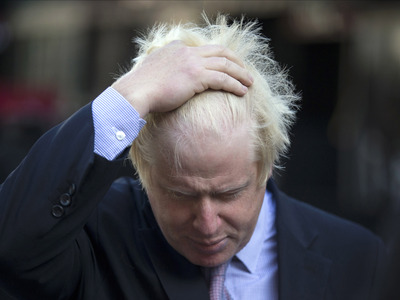 Johnson is a clownish character, but he’s got enviable popularity levels and is known by his first name across the UK. He’s even affectionately referred to as BoJo over social media. 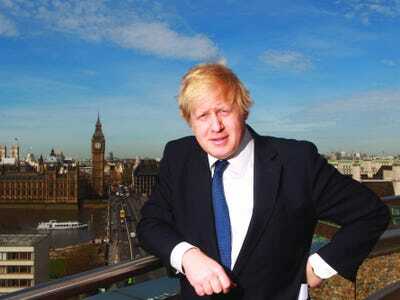 Here are some pictures of Boris’ life and rise to power. Mike Bird contributed to a previous version of this article. While at Oxford University, Boris was president of the Oxford Union, a position held by former Conservative leader William Hague and ex-Prime Minister Edward Heath. 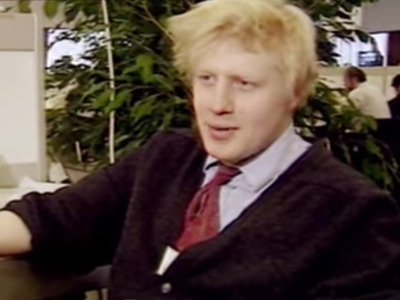 Johnson went to Eton College and university with Prime Minister David Cameron, but Boris was much more obviously political at the time. 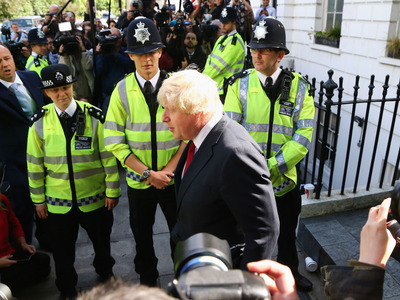 Johnson was sacked after a brief career at London-based newspaper The Times, and then worked for The Daily Telegraph as the paper's Brussels correspondent, gaining a name for himself in the centre-right press. Politics and journalism run in the family. Boris' brother, Jo Johnson, is also a Conservative politician, following a career as an investment banker and as a bureau chief at the Financial Times. 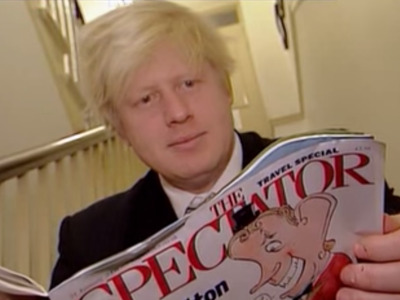 Boris was appointed as editor of the Spectator magazine in 1999, before being selected for the Conservative seat of Henley on Thames and elected in 2001. 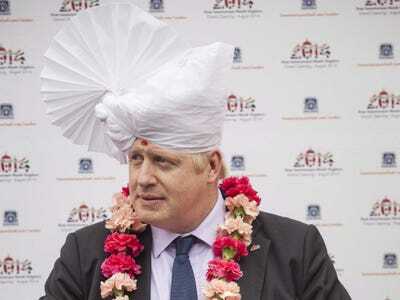 Despite the repeated gaffes, people warmed to Boris, though the incidents often come off as clownish, they make him seem more authentic than normal politicians. In 2004, Johnson lied about having an extra-marital affair and Conservative leader Michael Howard sacked him as shadow minister for the arts. By 2005, when David Cameron was elected leader of the Conservative Party, Johnson was back as higher-education minister. In 2008, Boris stood down as an MP and defeated incumbent Ken Livingstone of the Labour Party in London's third mayoral election. He also made a big deal of bringing back London's Routemaster buses, replacing the 'bendy buses' which were used under Livingstone. 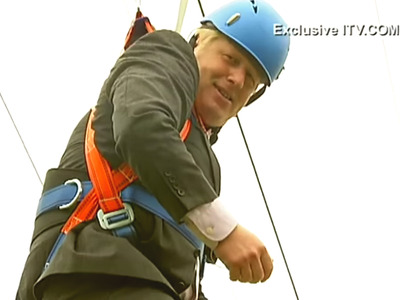 In 2012, as part of a promotional event for the Olympics, Boris was stuck on a zip wire. In 2012, Boris won reelection as mayor in another contest against Ken Livingstone, winning by a smaller margin. London generally tends to vote more for the Labour Party. 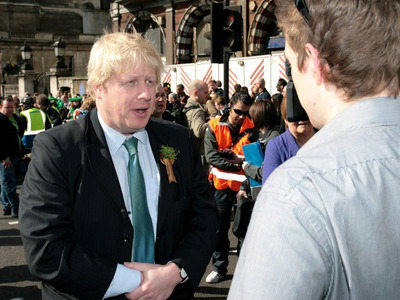 Boris has kept a constant media profile. 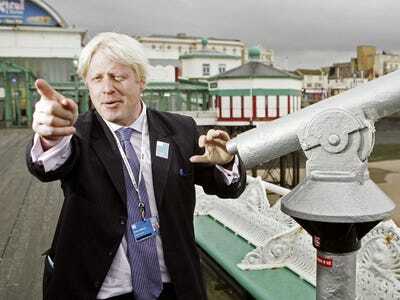 With no major gaffes in quite some time, the idea of him leading the Tory party has become increasingly more realistic. But his critics called him an inactive Mayor, using the position to boost his personal publicity. 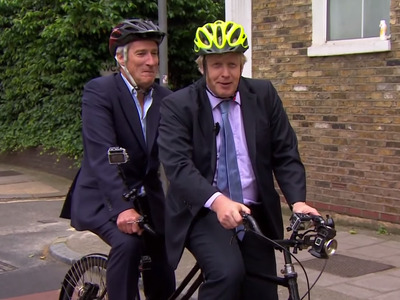 Here he is with BBC presenter Jeremy Paxman on a tandem bike. His popularity figures are perpetually high, regularly beating all other British politicians. A poll in June of 2014 showed him 13 points clear of David Cameron. Boris announced in August 2014 that he would run in the upcoming general election. In May 2015, Boris won the Parliament seat in Uxbridge, while the Conservative victory gave David Cameron a second term as Prime Minister. After rumors circulated in October 2015 that Cameron would step down early, Boris' name floated around as a possible replacement. Cameron had mentioned him as a possible successor when he said that he would serve only two terms. As debate over the Brexit heated up in early 2016, Boris said that his country had a 'great, great future' outside of the EU, but said that he'd rather see the UK remain in a reformed EU. 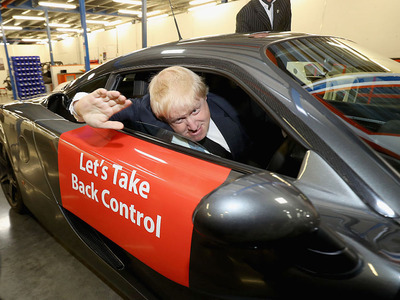 On February 21, Boris Johnson officially came out in favor of Britain leaving the EU, giving the 'Leave' campaign a significant boost. In March, Boris told a Treasury committee that there were 'no good economic arguments' for Britain staying in the EU. When Obama encouraged Britain to stay in the EU, Boris shot back, calling him a 'part-Kenyan' with hypocritical views. Just weeks before the referendum, David Cameron said Boris could be the next prime minister. Some speculate his leadership of the 'Leave' campaign has earned him Conservative support. Now that Britain has officially voted to leave the EU and David Cameron has resigned, Boris is a favourite to become the new prime minister. The Brexit shocked the world.